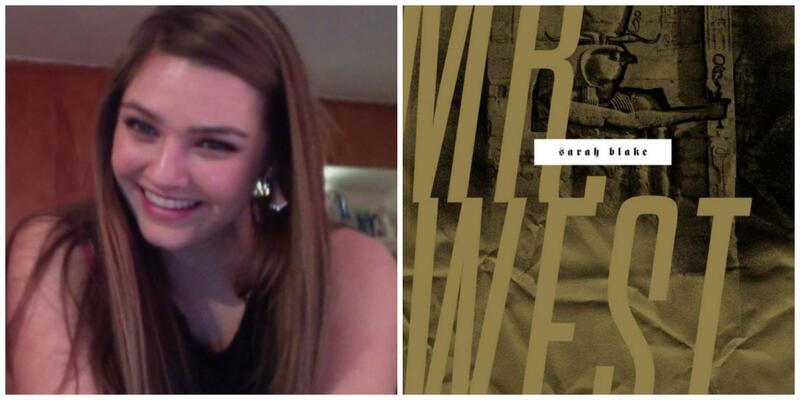 Reviewer Courtney Barrow and the cover of "Mr. West"
Many listeners are familiar with the rapper and celebrity icon Kanye West. He’s made headlines for eleven years not just with his music, but his antics and his romantic relationships. So a book of poetry dedicated to him isn’t conventional, but it is understandable. Local author Sarah Blake released a book of poetry simply named “Mr. West” in his honor. Blake calls it “an unauthorized lyric biography.” I consider myself a diehard fan of West and his music, so I was happy to dive into this book. For the book’s writer, all of these things hold true. Blake tells the story of her devotion to West, and how it’s impacted her own life. In her poems, she asks what does her love of West mean for her as a fan? As a parent? As a person? She loves all parts of him and his life, including his wife, mother, daughter, gold teeth and plated chin. The book’s chapters cover both Kanye’s and Blake’s lives throughout the years. The author also chronicles the ways her own life parallels his. Examples include the release of the Runaway film, the sudden death of his mother following surgery and how his character is dragged through the mud following the infamous “Taylor Swift incident.” Blake stands by him through all of these obstacles, and feels like they are her own challenges. As a rapper, producer, fashion designer and superstar with a colorful history, West is either loved or hated by most. For Blake, he is cherished. She dedicates the book to West himself, along with her husband, Noah. While this may not be the love story most people are looking for, members of the Kanye West fandom will be caught in its spell. "Mr. West" is published by Wesleyan University Press. 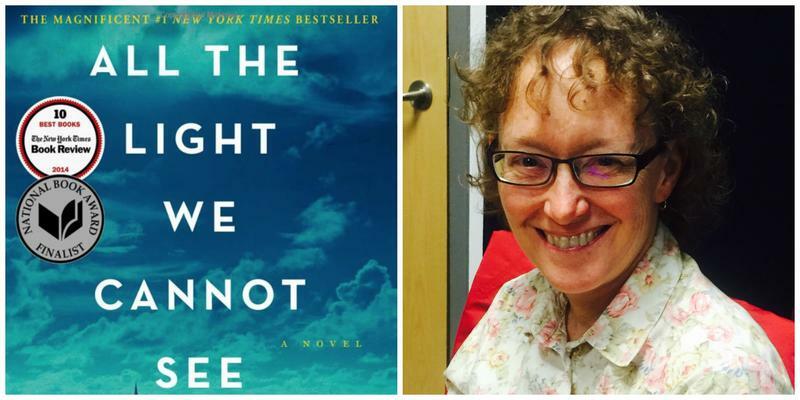 Author Sarah Blake is a local poet and former associate producer at WPSU-FM. Reviewer Courtney Barrow is a Penn State student currently interning with ABC News in Washington. Have you read a good book lately? Submit your review proposal here. Taking place in Canada during the distant future, Afterparty is action-packed, humorous and bitterly wry. The book’s main character, Dr. Lyda Rose, was once a doctor who helped create a drug to cure schizophrenia. But now, she is a schizophrenic patient with godly hallucinations, locked away in a psychiatric hospital. I’ve read World War II fiction, but never a story like “All the Light We Cannot See” by Anthony Doerr. 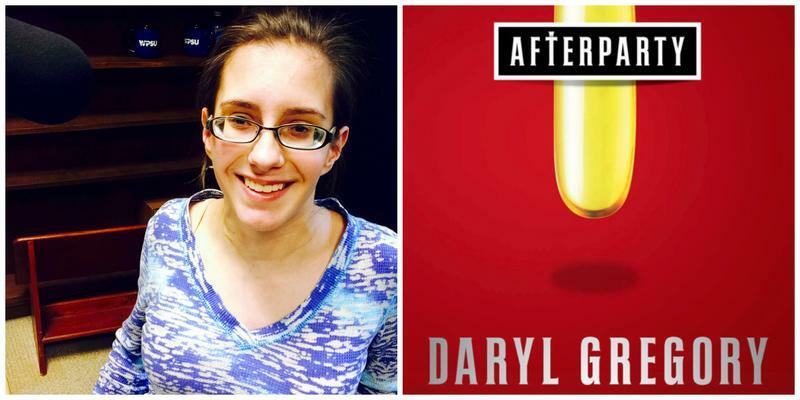 The book follows two teenagers from their childhoods in the thirties, through 1945 and beyond. The first is Marie Laurie LeBlanc. She’s blind and lives with her locksmith father in Paris. The second, Werner Pfennig, grows up in a German orphanage. Their stories begin to intertwine in the book’s opening scene. In a coastal French town towards the end of World War II, Marie Laurie crouches in her great-uncle’s secret attic during an American attack. 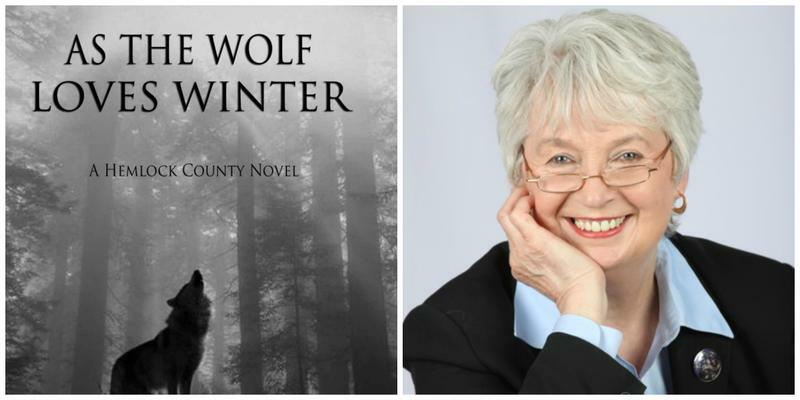 David Poyer’s As The Wolf Loves Winter is a thriller that reflects the author’s respect for the wilds of Pennsylvania. It’s set in the hills of western Pennsylvania, first plundered by trappers, then for timber, oil and gas. Wolves became extinct in this scarred natural habitat. Or did they? When mangled frozen bodies are found in the woods, fear spreads through the small villages surrounded by the dark hills of Hemlock County. What terrible secret lies hidden in those woods? Would someone kill to keep it? Graphic novels depict heroes descending into darkness, fighting insidious forces, and coming out transformed—think The Walking Dead or Maus. That is exactly what readers get in Philippe Squarzoni’s Climate Changed: A Personal Journey Through the Science. 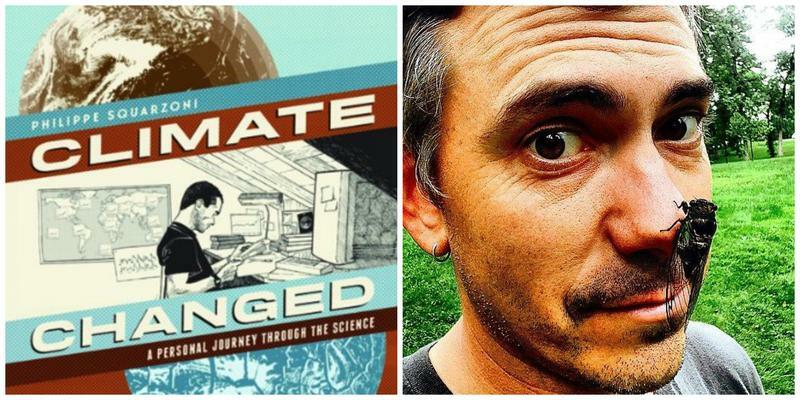 It is a scientific, moral, and personal exploration of human-caused climate change. Deftly using graphic novel form, it entertains, informs, and invites us to reflective action.